Note: Mu is the negative symbol in Chinese, meaning 'No-thing' or 'Nay'. Those who have passed the barrier are able not only to have an intimate understanding of Joshu, but also of the whole historic line of Zen masters, to walk hand in hand with them, and to enter into the closest relation with them. You see everything with the same eye that they saw with, hear everything with the same ear. Is not this a blessed condition? Wouldn’t you like to pass this barrier? Then concentrate your whole body, with its three hundred and sixty bones and joints, and eighty four thousand hair-holes, into this question; day and night, without ceasing, hold it before you. But do not take it as nothingness, nor as the relative “not”, of “is” and “is not.” It must be like a red-hot iron ball which you have gulped down and which you try to vomit, but cannot. All the useless knowledge, all the wrong things you have learned up to the present, –throw them away! After a certain period of time, this striving will come to fruition naturally, in a state of internal and external unity. As with a dumb man who has a dream, you will know it for yourself, and yourself only. Suddenly your whole activity is put into motion and you can astonish the heavens above and shake the earth beneath. You are just as if you had got hold of the great sword of Kan-u. You meet a Buddha? You kill him! A master of Zen? You kill him! Though you stand on the brink of life and death, you have the Great Freedom. In the four modes of the six rebirths you are in a state of peace and truth. Once more, how are you to concentrate on this Mu? Every ounce of energy you have must be expended on it; and if you do not give up on the way, another torch of the law will be lighted. Background: Wumen's Preface to "The Gateless Barrier"
you walk in the universe alone. It cuts you up into pieces. Kind compassion, deep as the sea. This word No is an iron broom: Where you sweep there is a lot of flying around, and where there is a lot of flying around, you sweep. The more you sweep, the more there is. At the point where it is impossible to sweep, you throw your whole life into sweeping. Keep your spine straight day and night, and do not let your courage flag.All of a sudden you sweep away the totality of space, and all differentiations are clearly penetrated, so the source and its meanings become evident. In at morning, out at evening neither host nor guest. My every step stirs up a little breeze. In everyday usage the word "Mu" means "does not have" -- but if that were Zhaozhou's entire meaning, there wouldn't be any Zen. This single syllable turns out to be a mine of endless riches. The monk's question is about Buddha nature, and Zhaozhou's "Mu" in response is a presentation of Buddha nature. In his quiet way, Zhaozhou is also showing the monk how to practice. Breath by breath, you will realize the Buddhahood that has been yours from the beginning. "Muuuuuu." Inevitably, you notice that you are thinking something as you sit there on your cushions in zazen. Remember Mu at such a time. Notice and remember, notice and remember -- a very simple, yet very exacting, practice. The dog represents being unenlightened, while Buddha-nature refers both to the essence of enlightenment and the possibility of realizing enlightenment. The central Zen question is: What is it that dreams and awakens? Whatever you may think or imagine this is, that idea or image is a product of mind, not the essence of mind. The question in the story at hand can in one sense be paraphrased, "Is it possible to be fully awake while habitual and random thoughts still ramble through the mind?" Here the Zen master says No. First of all, stop idle thought and speculation. The No is for the questioner, not for the question itself. A basic form of abuse of No is to interpret and practice it in a negative way, using it to make the mind blank and shut out reality instead of using it properly to make the mind clear and open to reality. Zhaozhou's No means that ultimate reality is not like anything we can imagine. In order to witness absolute reality it is necessary to detach from out conceptual description of reality: that nonattached relationship is neither clinging nor denying not getting involved in yes and no. In a way this is a tragic koan, calling up, as it does, the anguish of humanity's most haunting questions. Is there life after death? Is there a meaning to my life? Am I all alone in a world that cares nothing for me? We all hunger for our true home, and this hunger, if we heed it, can led us there, but only across the desert of confusion, doubt, and dismay. Why does Zhaozhou say "No!"? Why does a wise, compassionate, and knowledgeable man take away the last hope of a monk in distress? The belief that we need something to hold on to when the going gets rough is itself a belief and untrue. It is precisely because we cling to something, even if that something is negation, that the going does get rough. We look to success, or to the love of another, to possessions, to knowledge, to goodness to resolve our insecurity. We look outside ourselves. We look for something. Every desire we have is the desire for oneness, for wholeness. The problem is we try to pin oneness down, we try to make something of it and we suffer the frustration of failure. No one but yourself has put up the barrier that keeps you from understanding, although it may seem as though other people have erected it. When you realize Mu, nothingness, you realize Zen truth. 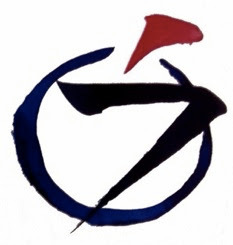 "Mu" is the word most commonly used in zazen practice. It is not said aloud but is concentrated up in time with one's breathing. When a student of Zen fully realizes that there is no constant ego to which he can attach his notions of self and identity, the constrictions of egotistically motivated behavior and thinking are broken Activity in this free frame of mind is called playful samadhi. A koan is the thesis of the postgraduate course in Buddhism. Those who have studied the teachings for twenty years may consider themselves scholars of Buddhism, but until they pass this gate of Zhaozhou's Dog, they will remain strangers outside the door of Buddhadharma. Each koan is the key of emancipation. Once you are freed from your fetters, yo do not need the key any more. Each sentient being has buddha-nature. This dog must have one. But before you conceptualize about such nonsense, Zhaozhou says "Mu." Get out! Then you may think of the idea of "manifestation." Fine word! So you think of the manifestation of buddha-nature as a dog. Before you can express such nonsense, Zhaozhou says "Mu." You are clinging to a ghost of Brahman. Get out! Whatever you say is just the shadow of your conceptual thinking. Whatever you conceive of is a figment of your imagination. Now, tell me, has a dog buddha-nature or not? Why did Zhaozhou say "Mu"? This koan is extremely short and simple -- therefore, it is uniquely valuable. Although literally "mu" means No, in this case it points to the incomparable satori which transcends both yes and no, to the religious experience of the Truth one can attain when he casts away his discriminating mind. Zhaozhou, the questioning monk, and the dog are only incidental to the story, and they do not have any vital significance in themselves. Unless one grasps the koan within herself as she lives here and now it ceases to be a real koan. All sentient beings without exception have the Buddha Nature. This is the fundamental Truth of nondualism and equality. On the other hand, this actual world of ours is dualistic and full of discriminations. This is the basic contradiction between the fundamental Truth of nondualism and actual phenomena. We live in this fundamental contradiction. It was the compassion of the Masters that led them to try to intensify their disciples' Great Doubt, their spiritual quest, and finally lead them to satori by breaking through it. According to the sutras, when Shakyamuni Buddha attained his great enlightenment, he was astonished by the magnificence of the essential universe and, quite beside himself, exclaimed, "All living beings have Buddha nature! But owing to their delusions, they cannot realize this." The monk in the story could not believe these words. To him Buddha nature was the most venerable, most highly developed personality, and a Buddha was one who had achieved this perfect personality. 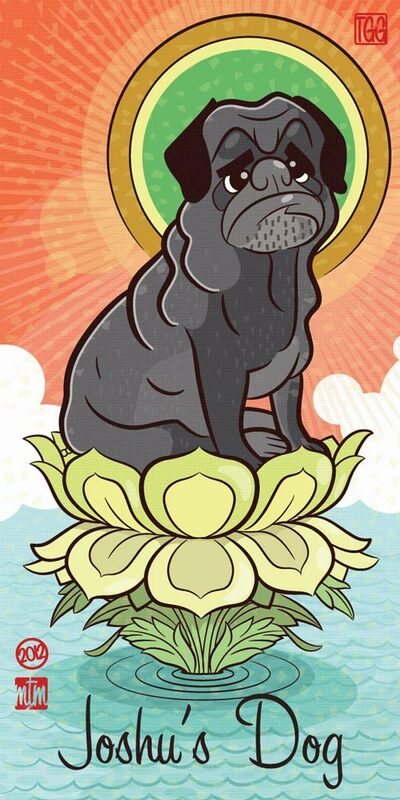 How then could a dog have Buddha nature? How could a dog be as perfect as Buddha? So he asked Zhaozhou, "Does a dog have Buddha nature?" And Zhaozhou answered, "Mu!" Mu has no meaning whatsoever. If you want to solve the problem of Mu, you must become one with it! You must forget yourself in working on it. Your consciousness must be completely absorbed in your practice of Mu. If you have the slightest thought about the dog having or not having Buddha nature, your essential life will be killed by that thought. Now, just show me: Dog -- Buddha nature! For I am sick as a dog, and have no power to heal myself. And this sad world has been going to the dogs for some time. The morning paper's dolorous tidings wound like darts. Ecstatic shivers and inundations of grace. Is there not ugliness, too, and tedium? And, worse, pain? Is there not cruelty? That suffering is delusion, a perceptual distortion. This will not do, for hurt and wrong are real. Co-dependent enablers of each other. Though it is not ultimate. And been requited in your thunderous, silent No. May I learn to love unremitting sorrow.